Without an effective cross selling campaign, you could be losing valuable sales potential to your competitors. If customers who purchase one product or service from you are not aware of your other products and services, you could be greatly limiting not only the ROI on your marketing efforts, but customer loyalty, too. Businesses should market to customers who have bought one type of product, letting them know about other similar products. If you’ve sold a furnace to a homeowner, for example, that homeowner should be aware that you sell home-ventilation systems, too. Alternatively, say your business provides software training. You should be informing customers who have purchased workshops from you that you also offer one-on-one coaching services. 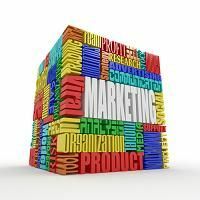 What does a cross selling marketing system do? Pursue your most valuable customers, those who have already purchased from you, and create more loyal customers. Offer the most value for your marketing dollar by investing in existing customer potential. Target your base of low-value customers and turn them into high-value customers. Use personalized, customizable mailers and email marketing to inform and motivate further sales, targeting relevant products and services within the right demographics. Include reply prompts, through prepaid response cards, QR codes, and online survey forms that are specifically designed to elicit responses, generate leads and cross sell. Optimize a range of marketing materials, including ecards and thank you greeting cards that use effective copy to generate additional leads and create a focused cross selling campaign. Strategize a long-term marketing plan to cross sell, using a variety of marketing materials that take advantage of seasonal promotions, birthdays, anniversaries and other opportunities. Don’t let your business coast on past success. Use an effective cross selling campaign to boost sales, increase branding and improve customer loyalty. Continuity Programs assists businesses in more than 20 industries, improving lead generation, customer retention and customer loyalty. Contact us today, and find out how we can help your business sustain measurable growth.